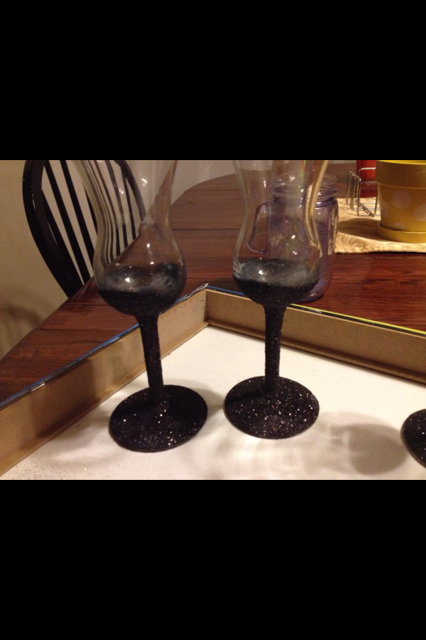 Yes those are indeed wine glasses done in glitter. Absolutely gorgeous! And they inspired me to create my own. Ella was kind enough to send me the links to several youtube tutorials and then walked me through how she did it. 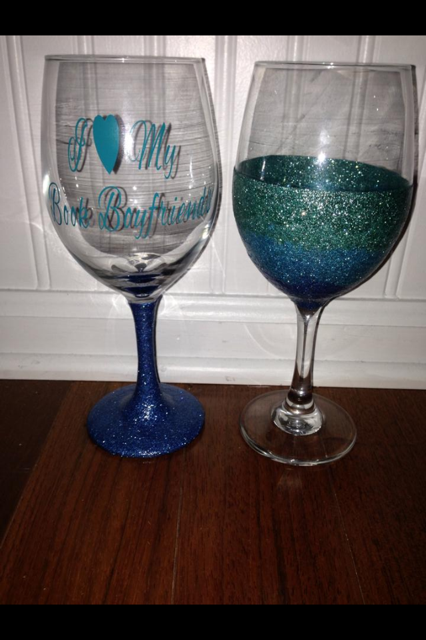 Here are the steps to making your own beautiful, glittery wine glasses. 3. After you apply the final coat let it dry overnight. 4. once the glitter modge podge layers are thoroughly dry cover the glass that doesn't have glitter with tape so that the spray doesn't get on this part. 6. After you apply the final coat again let the glasses dry for 24 hours. Ooh! I have some glasses I got for free at a volunteer gig that would be perfect to experiment on! Yours turned out great, btw! Double Ooh! Book 3 ... does it have a name yet?